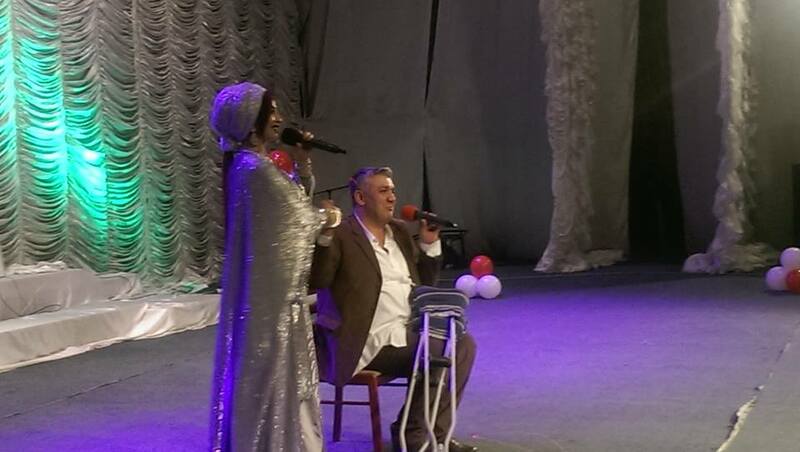 On November 12, alumni teamed up with local volunteers to hold a charity concert for talented actor and singer Muhammad Kholov. Known by his stage name Madonna, Muhammad was badly injured when he was hit by a car many years ago and lost the ability to walk. Event organizers held the concert for over 380 community members to raise money to help pay for Muhammad’s upcoming surgery and raised nearly $800. 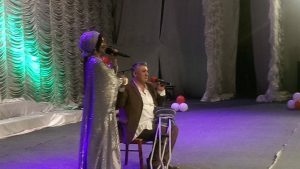 Many famous Tajik singers performed at the event, including local stars Shabnami Surayo, Jonibek Murod, and Parvin Yusufi! The concert opened with a wheel chair dance by Ayubjon Odinaev and his partner. This specific kind of dance is not well-known among people in Tajikistan and the audience loved it! “You guys are amazing! Thank you for doing this, giving him hope and bringing him back to life! You doing a good work helping people like him,” said one of the concert hall employees after the concert. Alumni assisted in many ways at the event. From decorations to setting up lighting the events, alumni were involved in all aspects of the set up and logistics of the show. Amir Merganov ‘16 was the master of ceremonies at the event and put the music selection together, Qosimjon Ismoilov ‘13 was in charge of the volunteers at the event, Mehriniso Khojaeva ‘16 and Gulnamo Vatanbekova ‘15 were in charge of the charity box and ticket sales, and finally, Alumni Coordinator Bakhmal Odibekova ’13 welcomed guests at the door. The larger alumni community assisted in promoting the concert, spreading the word through flyers, selling tickets, and helping with logistics. 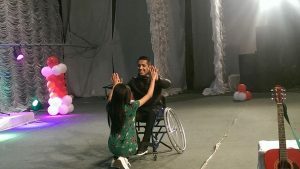 With half of the money raised for Muhammad Kholov’s surgery, alumni will support Muhamadjon in holding a second concert in Khujand city to raise the remaining amount for his surgery and then he will start the surgery process.